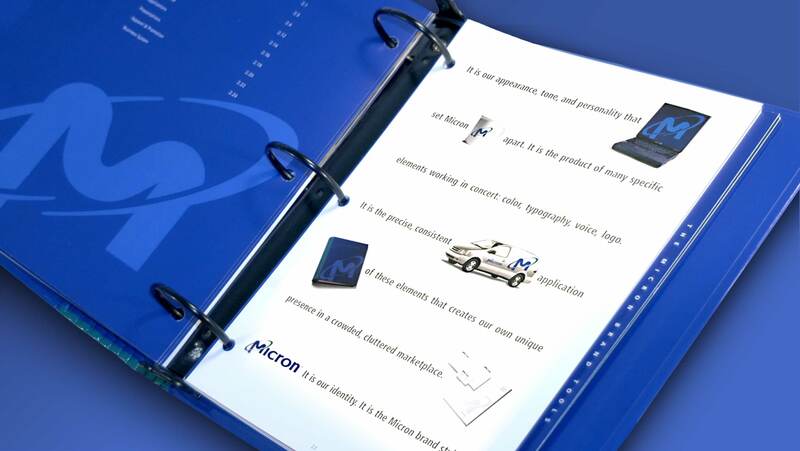 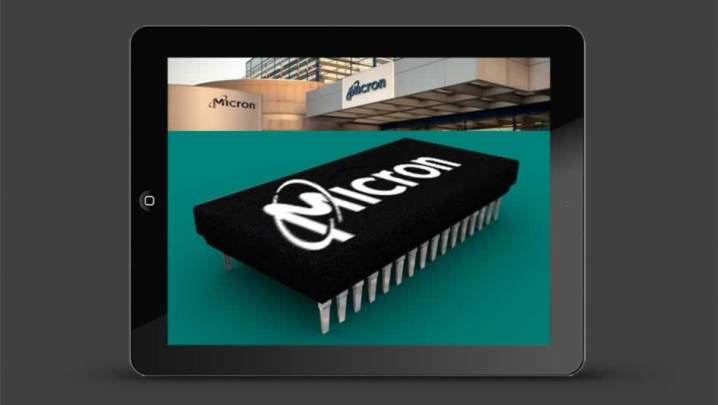 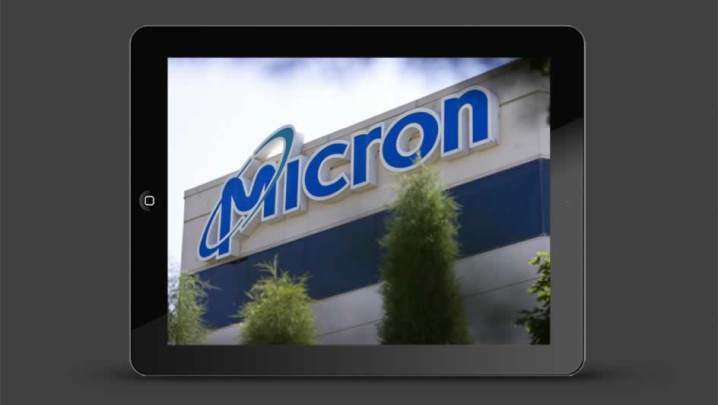 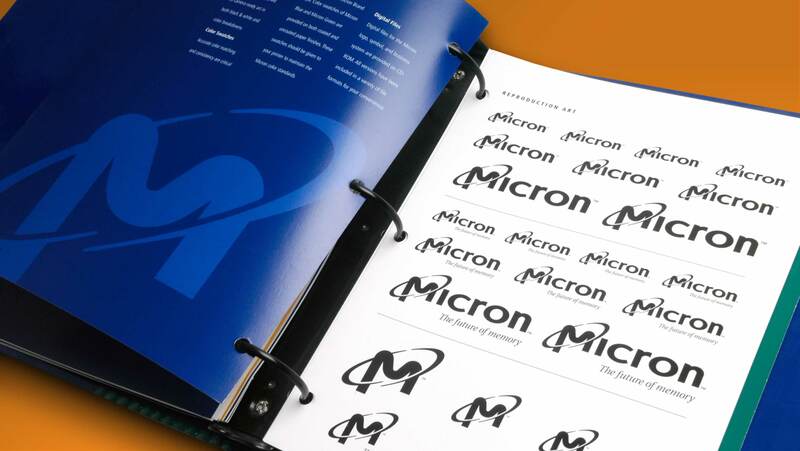 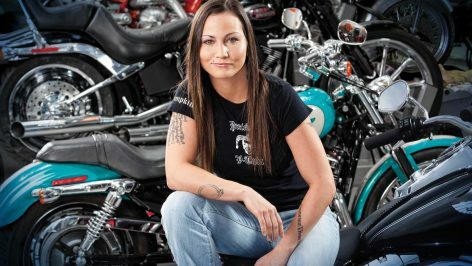 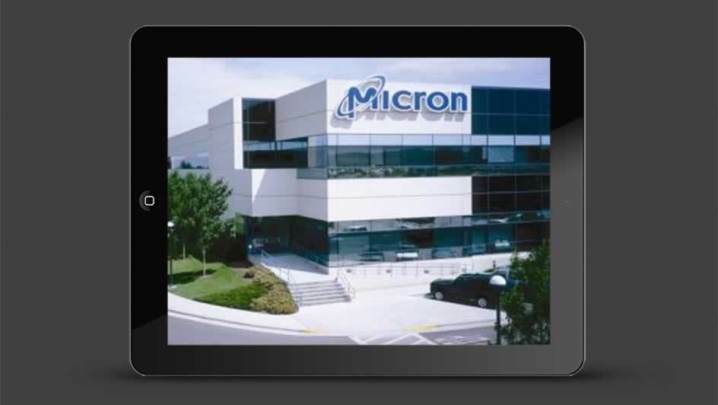 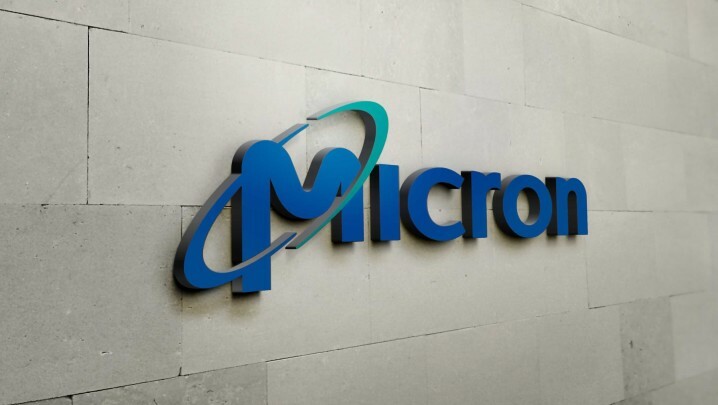 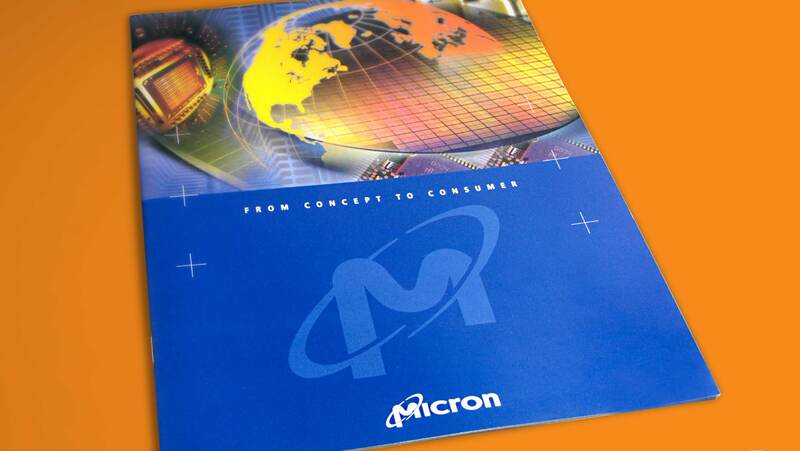 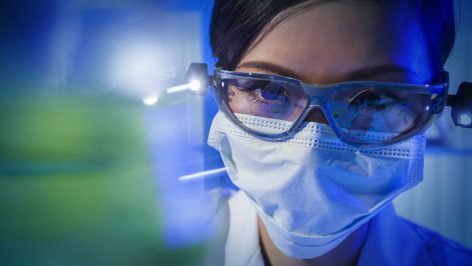 Micron Technology, Inc., an American multinational corporation based in Boise, Idaho, produces many forms of semiconductor devices including dynamic random-access memory, flash memory, and solid-state drives. 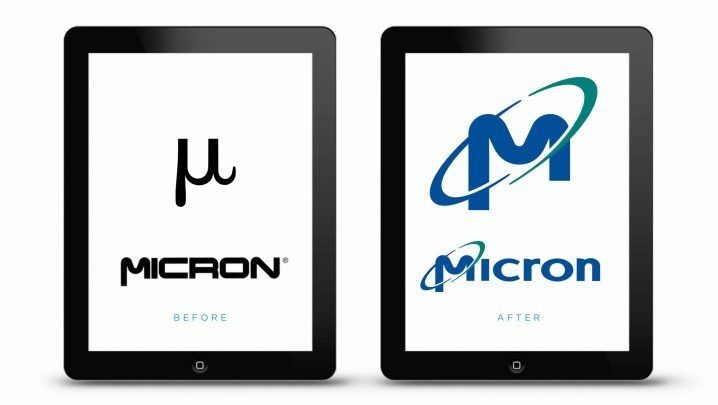 For this brand revitalization, the established brand equity from the previous logo was leveraged by maintaining the recognizable “M”. 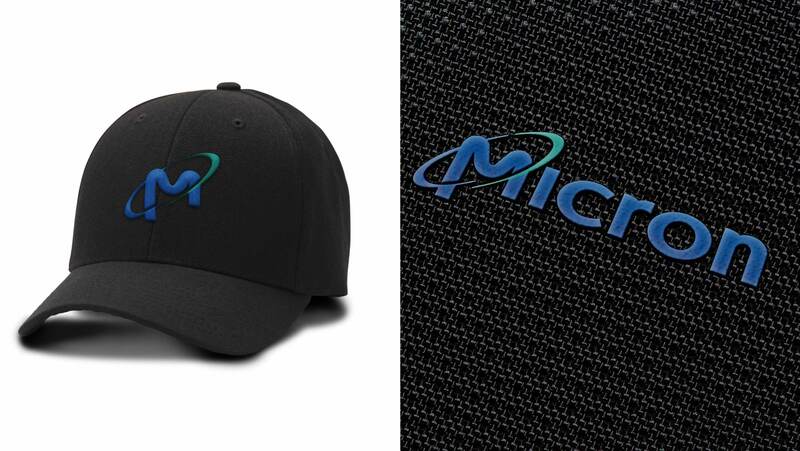 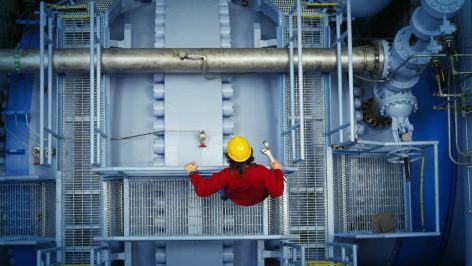 This is based on Mu, the twelfth letter of the Greek alphabet, which is also the symbol for a micron unit of measurement—one millionth of a meter. 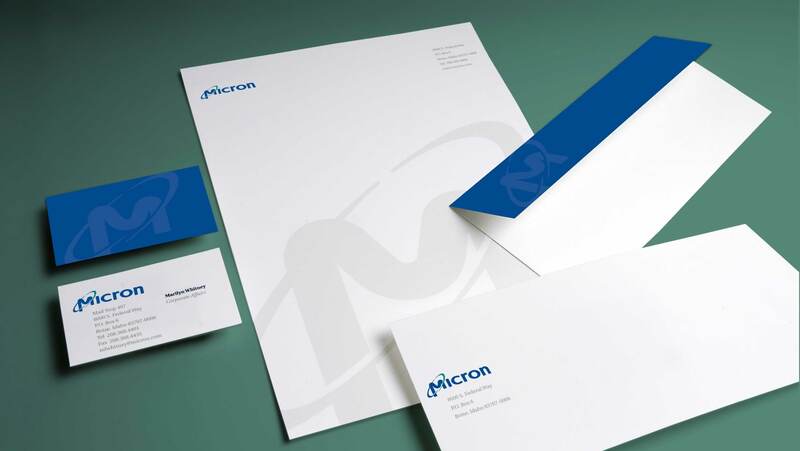 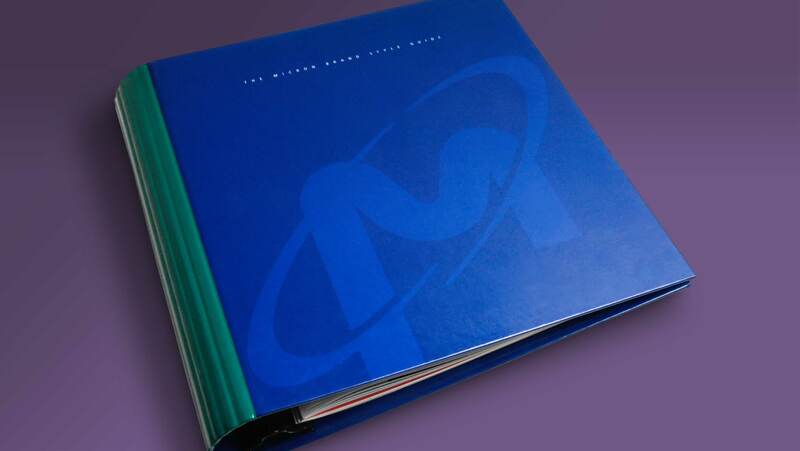 The “M”, which appears within the logo, can also be used alone as the corporate symbol. 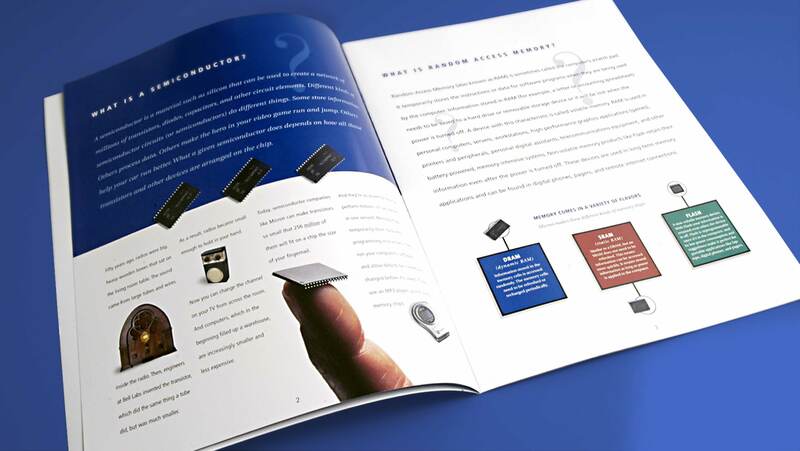 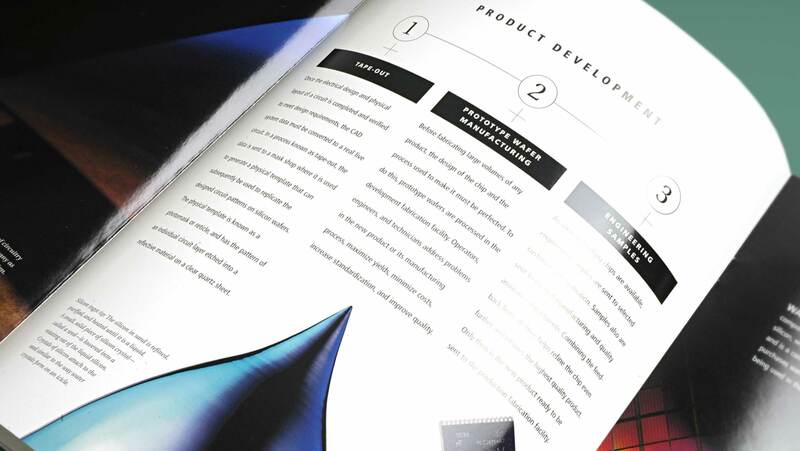 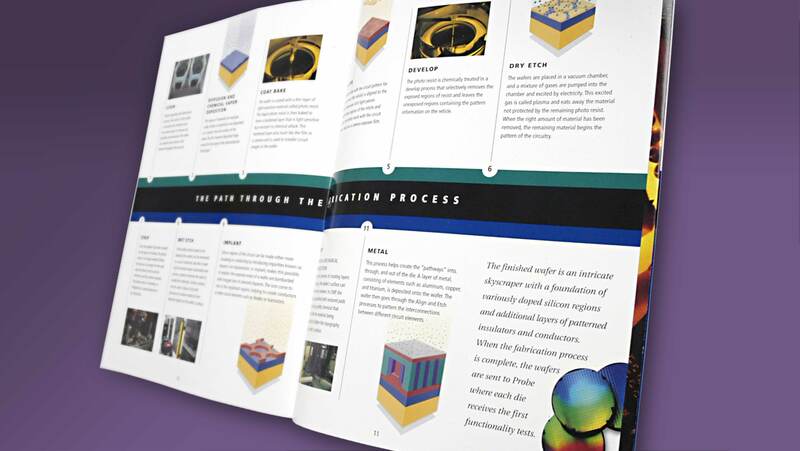 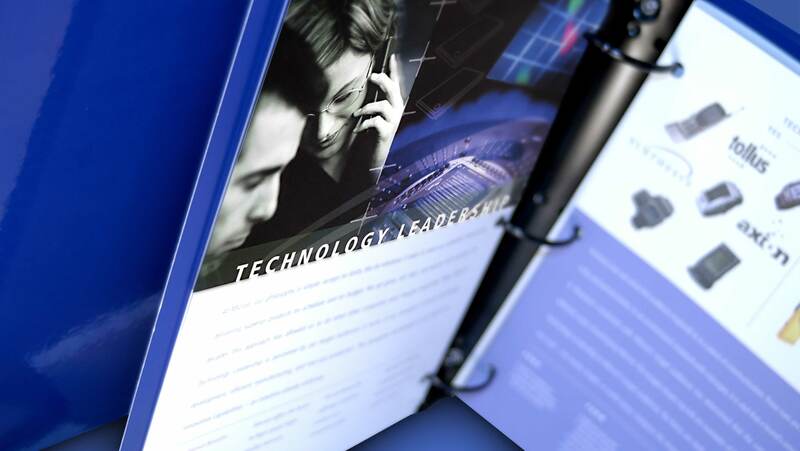 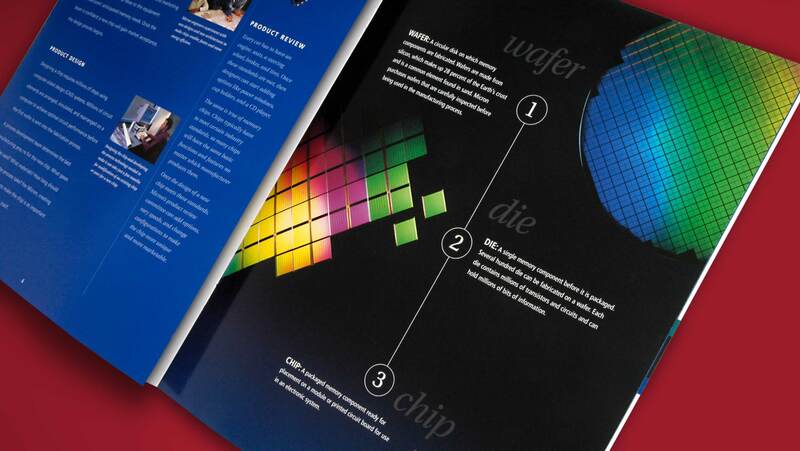 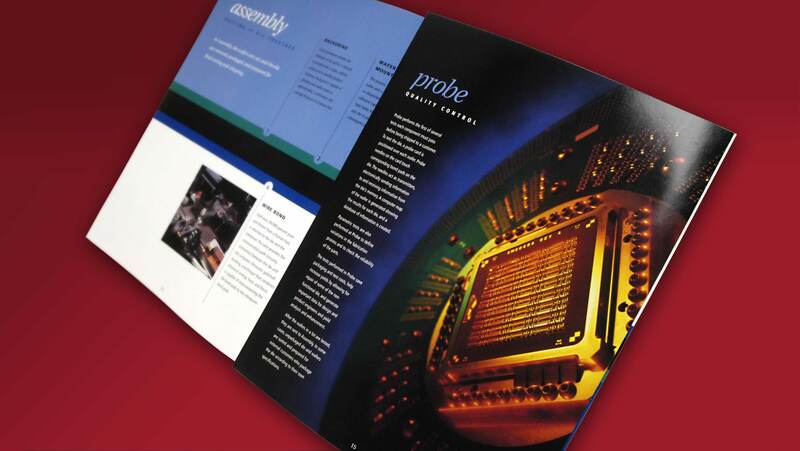 With the theme “From Concept to Consumer”, this overview brochure was designed for the general public to explain what a semiconductor is, how it is made, and the impact it has on everyday life. 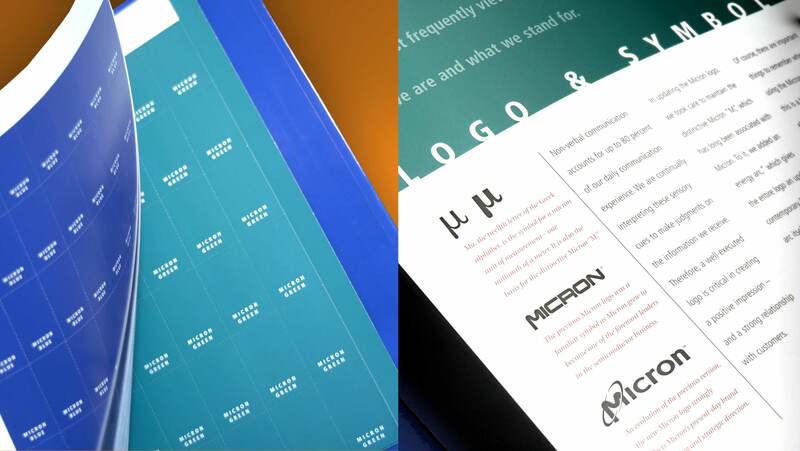 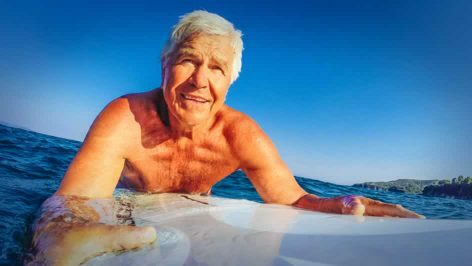 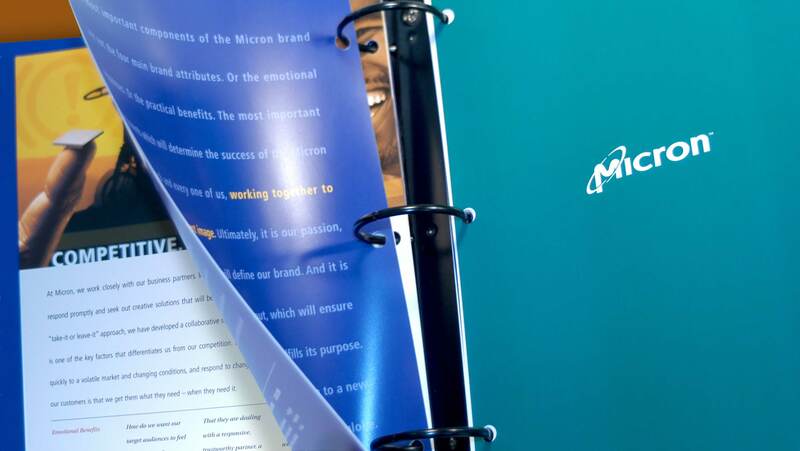 Designed as a helpful reference tool, this brand guide instructs employees and vendors how to correctly use and communicate the message of the brand. 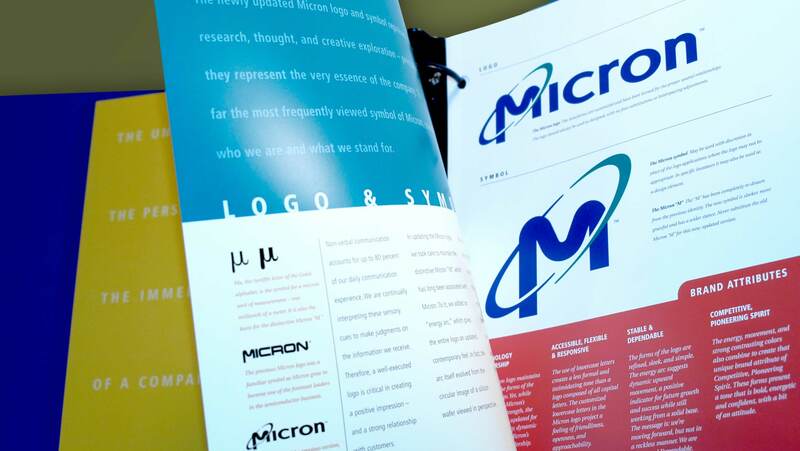 It covers the visual identity, brand colors, instruction for proper logo usage, and the overall look of marketing materials to maintain.